I picked “L. M. May” at a time in my life when I had a lousy understanding of the publishing industry, and absolutely no understanding at all of my personality as a writer … and then I got published in a magazine under that name, and I felt I was permanently stuck with it. I just finished up two online classes through Skillshare with Seth Godin, and taking those classes of his challenged my all assumptions of what was possible. Also, a friend pointed out to me Dean Koontz’s blog post about killing off his pen name Owen West. Another friend pointed out that Katy Hudson changed her stage name to Katy Perry. I finally realized that it wasn’t too late to change my pen name. I just had to be willing to go through the difficulties of doing so. So I’m going ahead and changing it to “Lynn Kilmore.” The behind-the-scenes aspects of changing the name will take years and years of work. The public work has the highest priority, so that stuff will change as quickly as possible. There will be publishing headaches involved with the move of my ebooks and print editions to the new pen name. Everything published under “L. M. May” is going to be reissued in second editions under “Lynn Kilmore” over the next eight months. 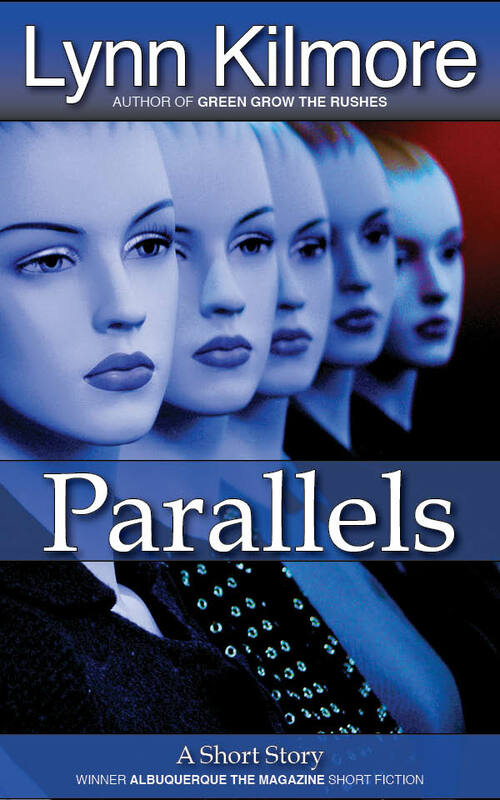 However, one short story, Writer’s Flight, is being taken off sale permanently, instead of being revised, because it is included in the e-book of Parallels. 1) Links are going to break as the second editions come out. There will be temporary confusion as e-books are transitioned to the new name. 2) There have been delays in the print editions of two books, and the sequel to Cubicles is going to run late due to the changes being made in my name. However, all three books should be out in print before 2014 ends, and I’ll post when pre-orders become possible. But once the main part of the transition is over, there’ll be some really fun stuff happening. I learned a huge amount in Seth Godin’s classes, and there’s been a lot of writing I’ve been holding back from being published as my unhappiness with my pen name grew worse. 2 Novels: Soul Cages; Cubicles, Blood, and Magic. 1 Collection: Tales from the Threshold. 3 Novelettes: The Enchantment of Coyotes; Green Grow the Rushes; Shade Town. 5 Short Stories: Parallels; Writer’s Flight (will not be reissued under new name); Just One Date; King of All He Surveyed; A Maze of Cubicles. All but Writer’s Flight will be transitioned to the new pen name.